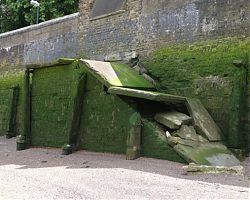 Over the last fifteen years, survey has recorded significant archaeology of all periods on the foreshore at Greenwich Palace. These include artefacts collected by mudlarkers and members of the public, and timber and masonry structures recorded by the Thames Archaeological Survey and the Thames Discovery Programme. Over the last three months, a team of Foreshore Recording and Observation Group members have been visiting the foreshore as part of the ongoing programme of monitoring of archaeological deposits and features at this key site, and they have recorded dramatic evidence of the damage suffered by some of these features – highlighting the effects of erosion and the dynamic tidal regime, which is causing changes across the intertidal zone. 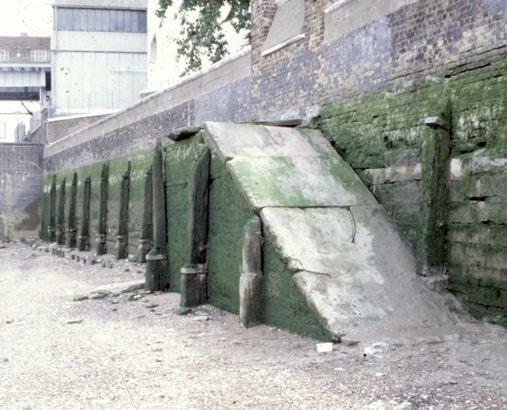 As part of the continuing Riverpedia research project, we have also been examining the 1990s photographic archive of the Thames Archaeological Survey, and we have started scanning these images and adding them to our Flickr photostream. In this way, we can show before and after snapshots of the features on the foreshore, and show the changes to this fragile archaeological resource. 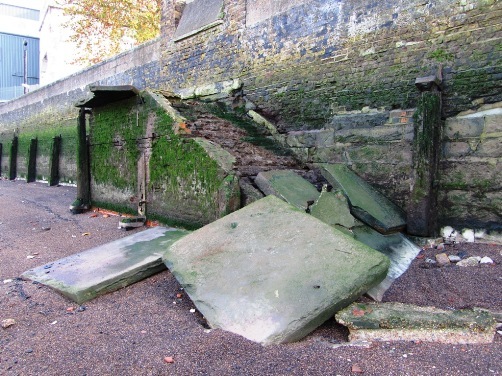 Included on this page is just one example from the Greenwich site – the stairs located at the eastern end of the zone near the Trinity Almshouses.